“This is a great time to buy a midsize sedan.” If you weren’t convinced of that by the latest Honda Accord and Toyota Camry, check out the 2019 Nissan Altima. 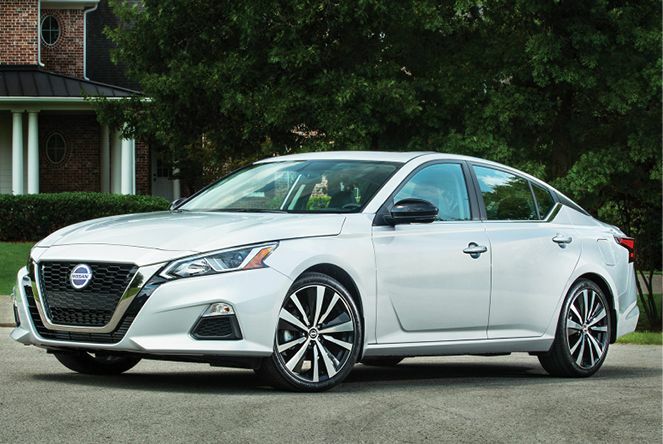 “A compelling, sporty alternative to those two top dogs,” the new Altima is lower, longer, lighter, and wider than the previous model, and looks sharper inside and out. “A blast to drive,” it’s also the only midsize sedan among the best-sellers with available all-wheel drive. Despite tweaks to the platform and a choice of two new engines, “we found the 2019 Altima drives a lot like the old model.” It’s “tuned more for comfort and refinement than anything else,” so it’s greater refinement you notice with the premium engine, a 248-hp turbocharged variable compression four-cylinder. The Altima remains what it’s always been: “a pragmatic automotive appliance” with good fuel economy and lots of standard equipment.